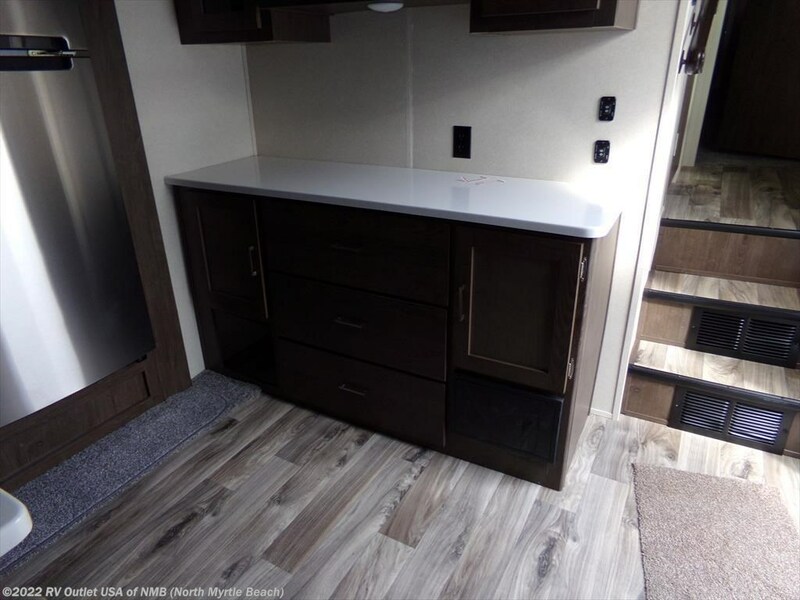 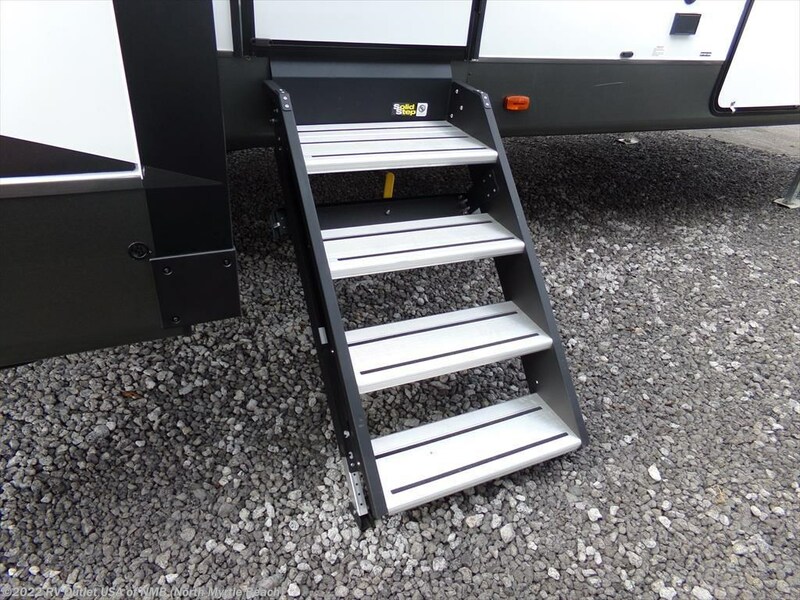 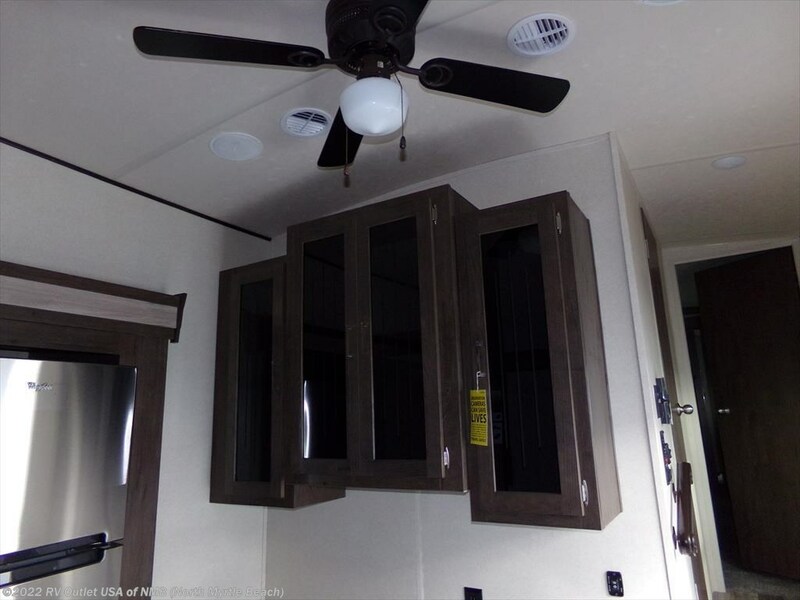 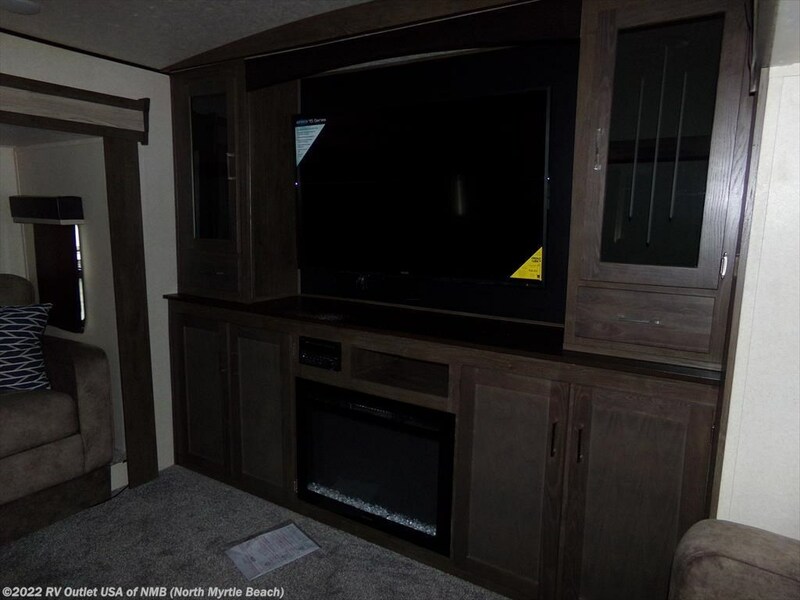 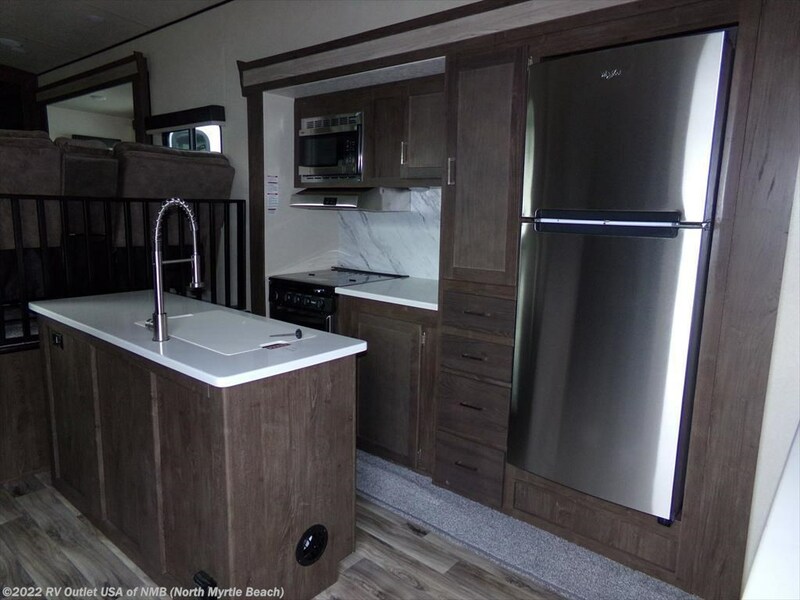 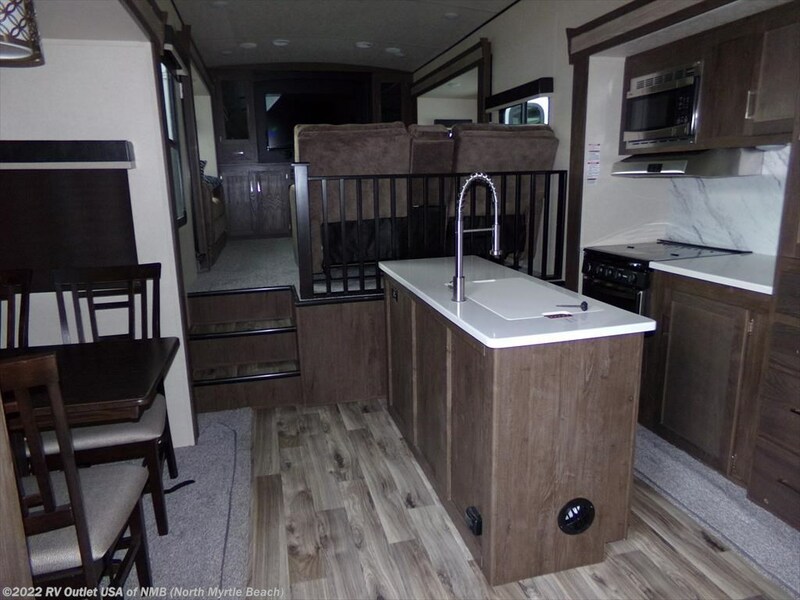 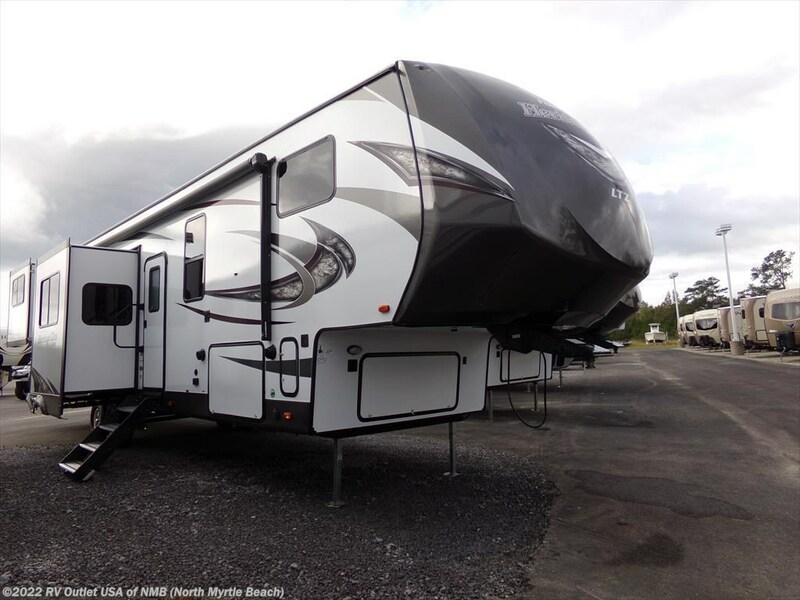 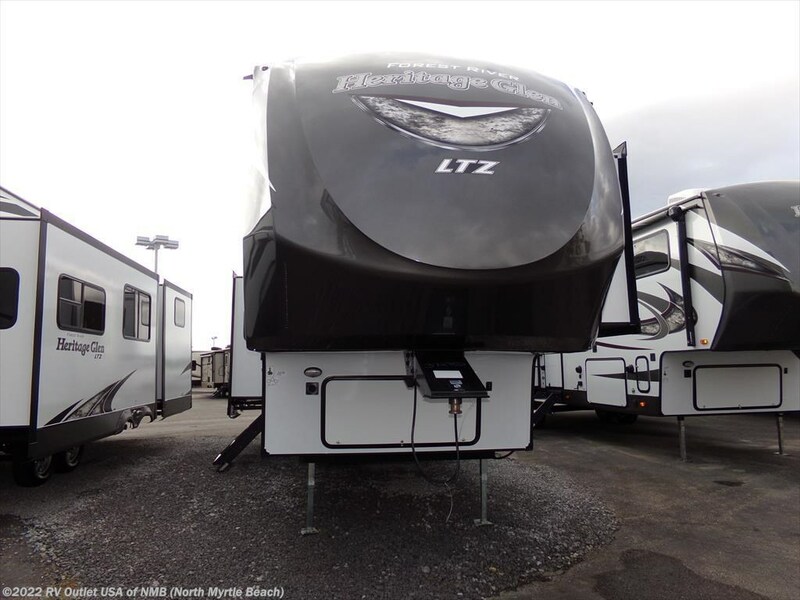 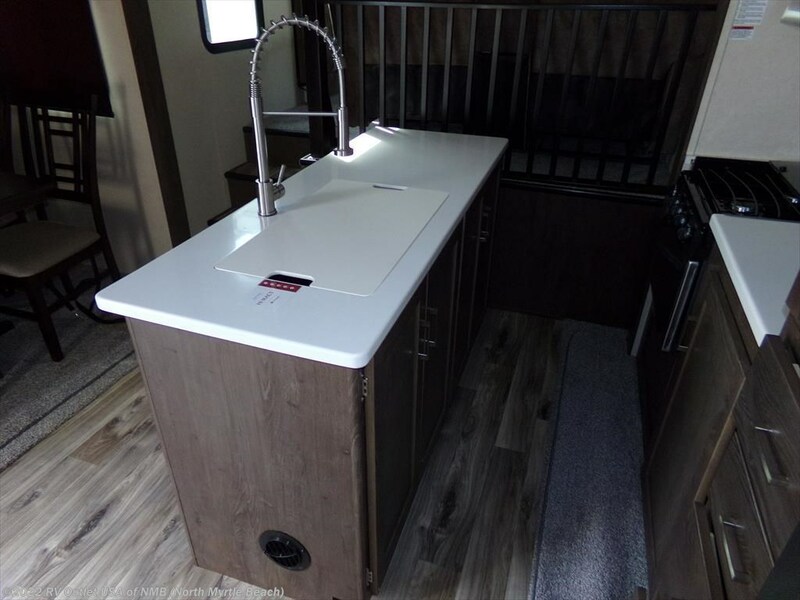 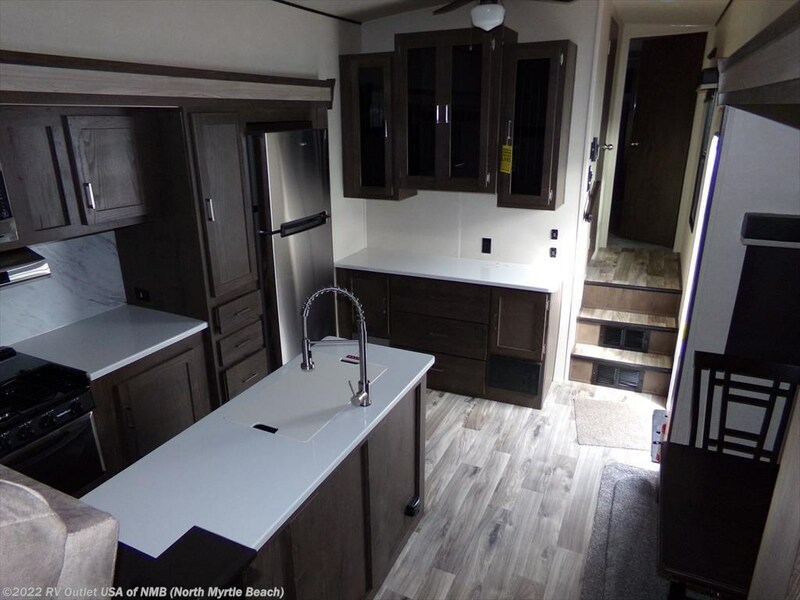 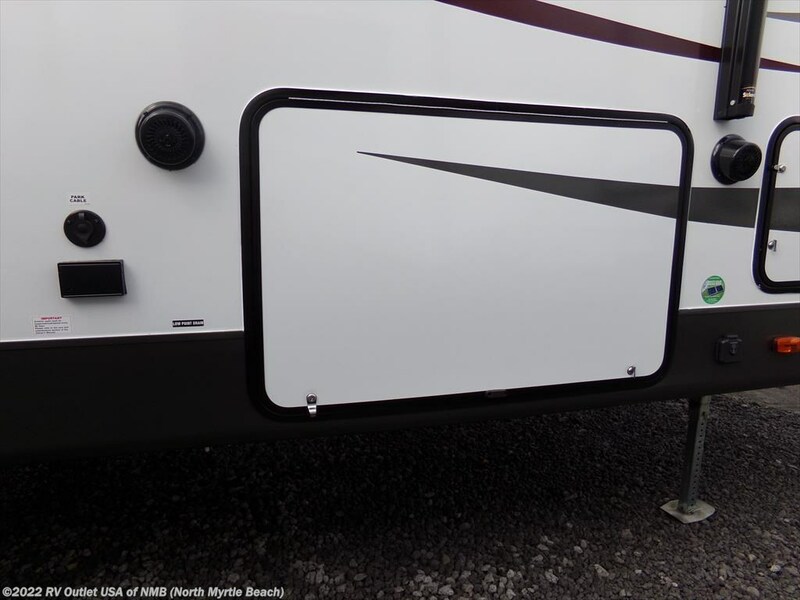 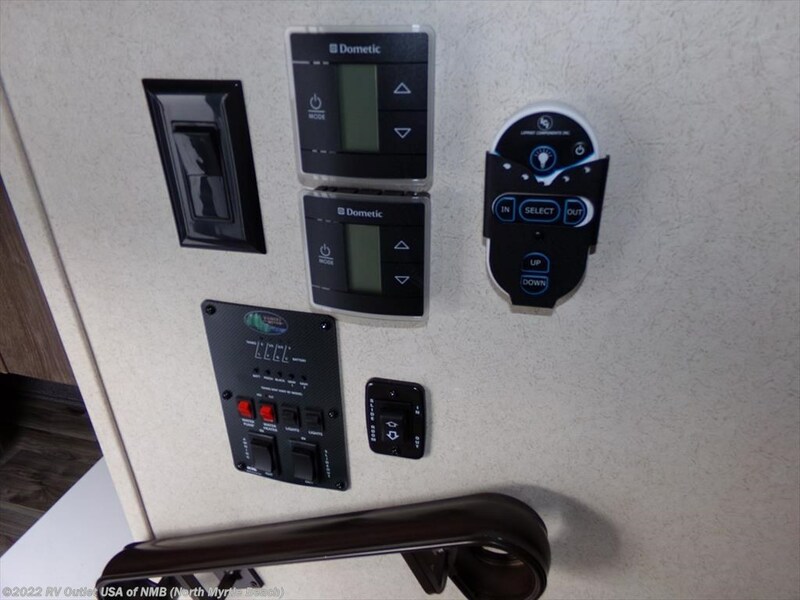 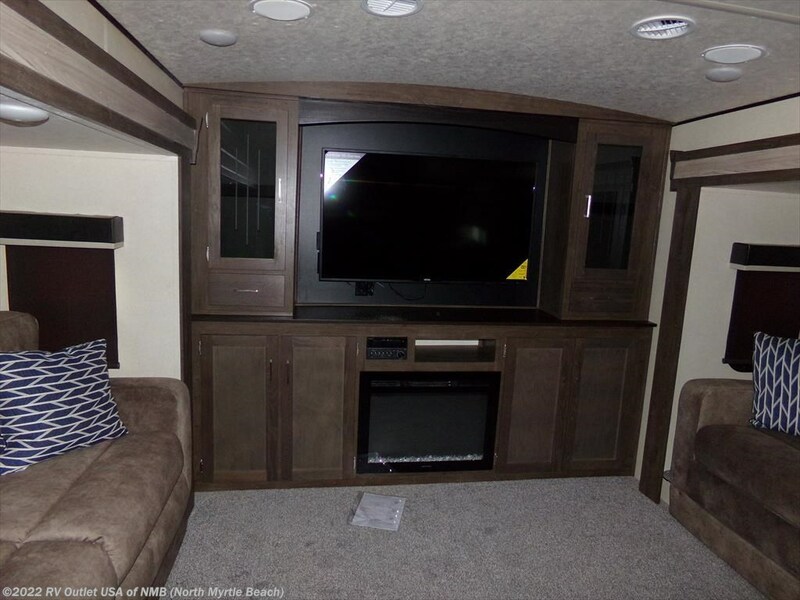 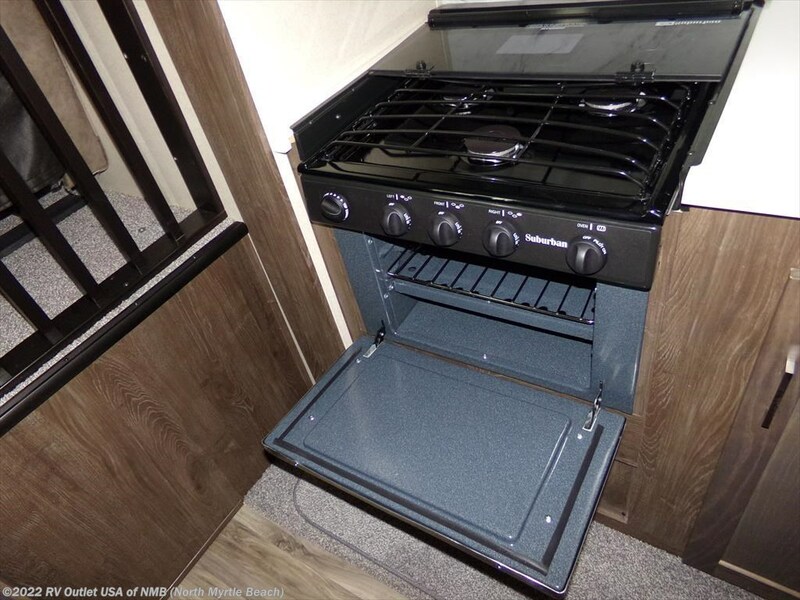 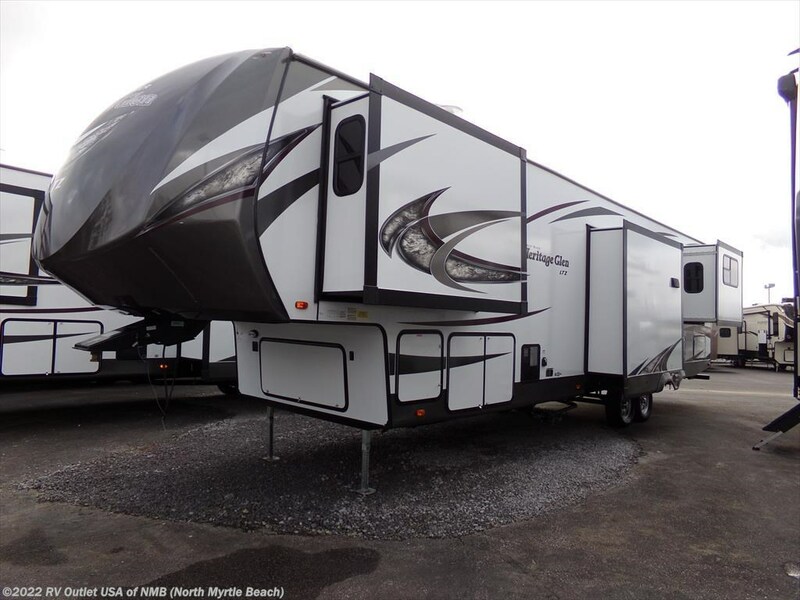 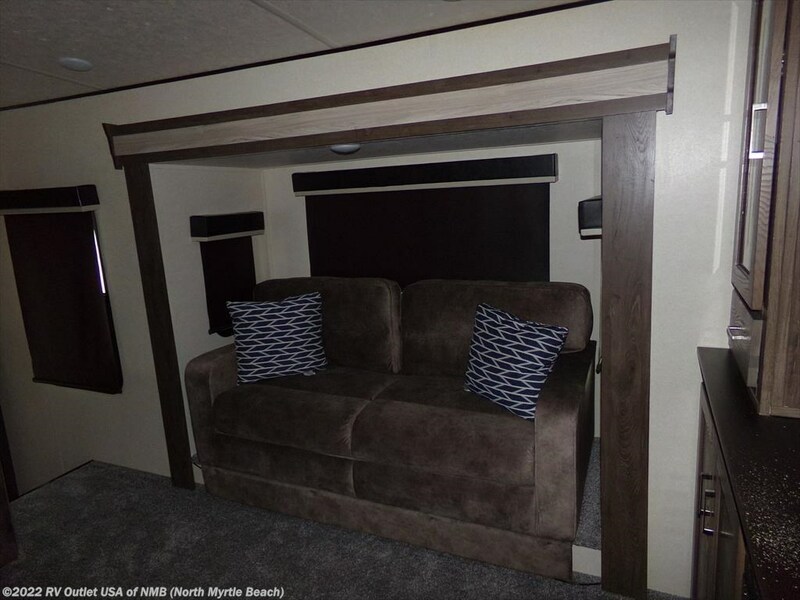 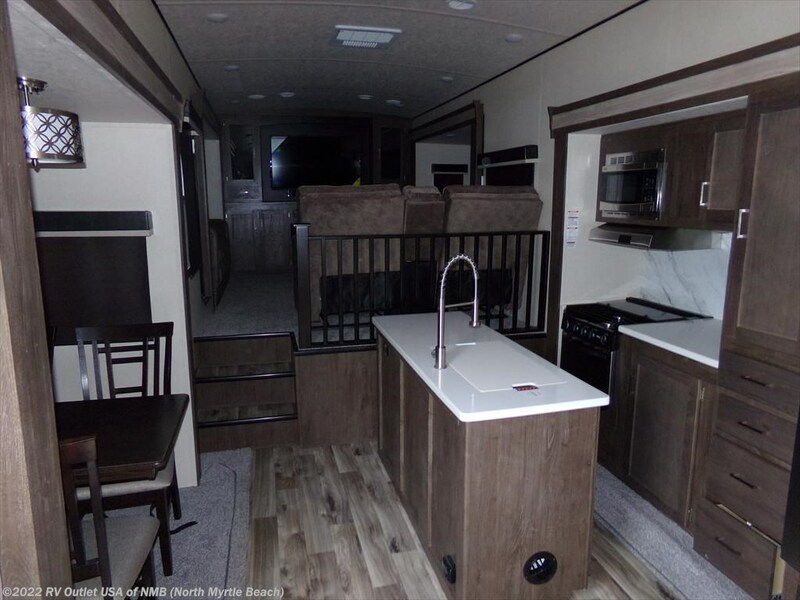 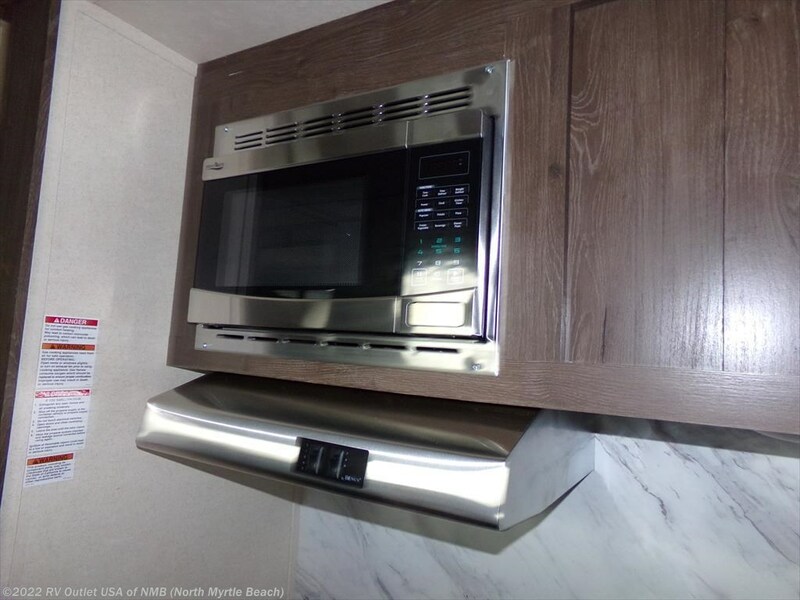 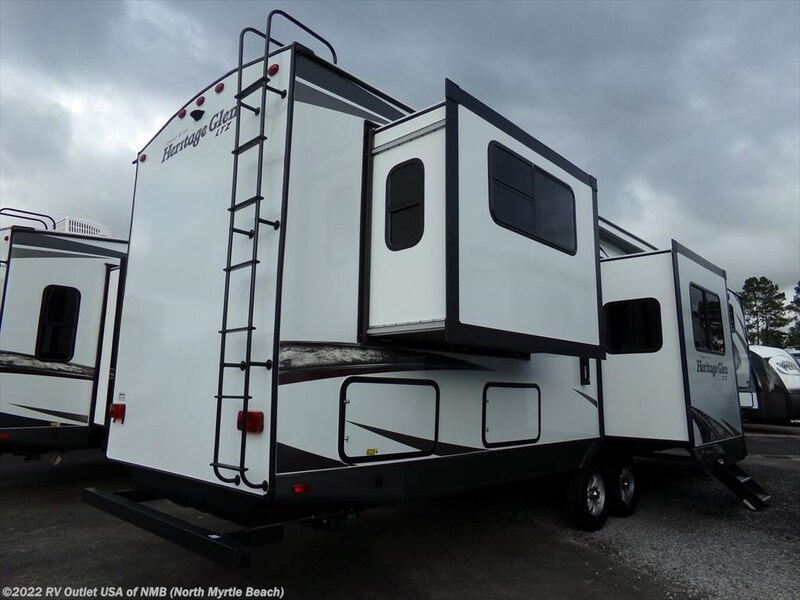 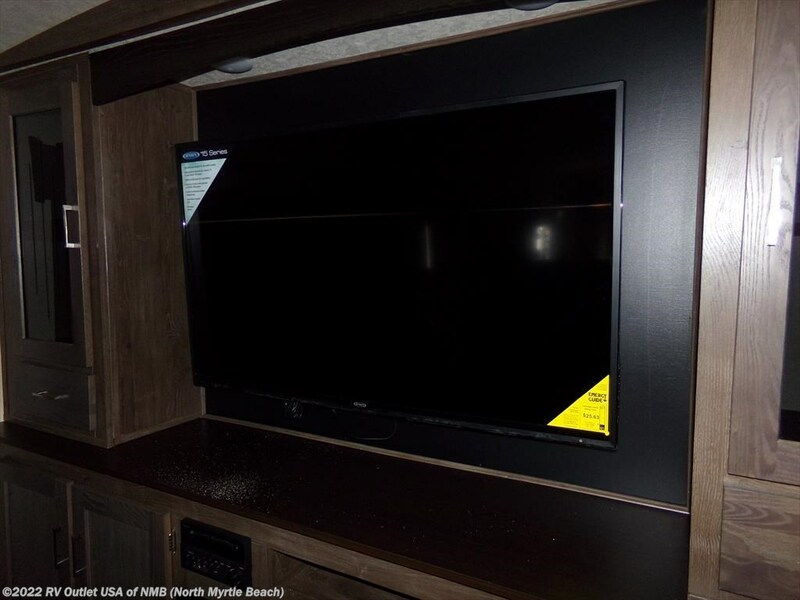 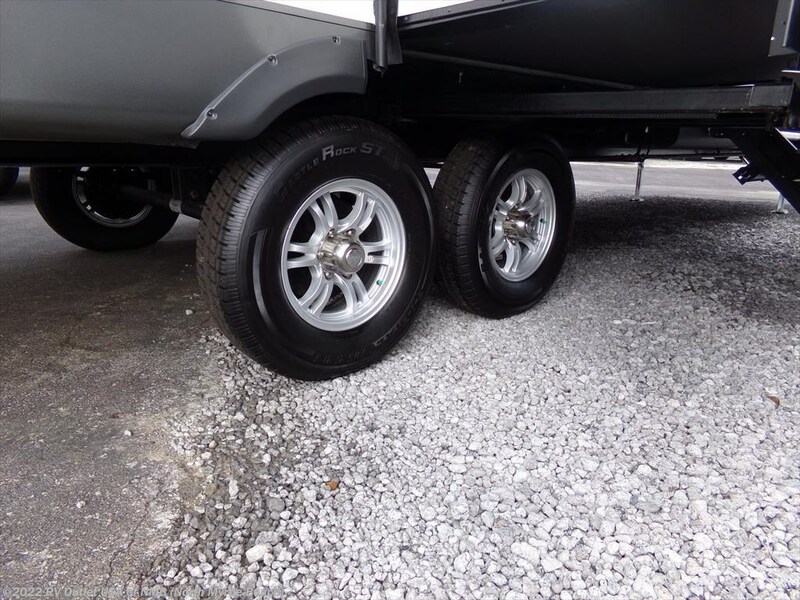 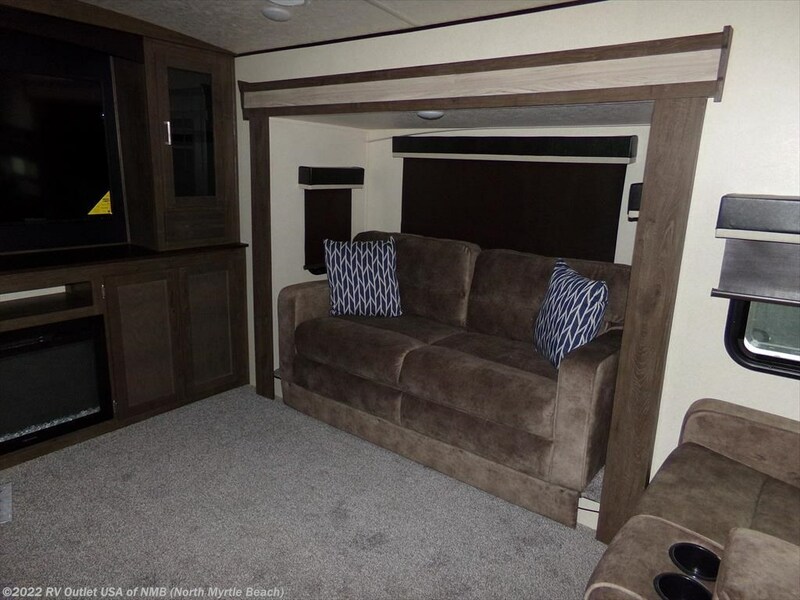 If you're in the market for a rear den fifth wheel, then you really owe it to yourself to check out this brand-new 2018 Forest River Heritage Glen 372RD that we just got in. 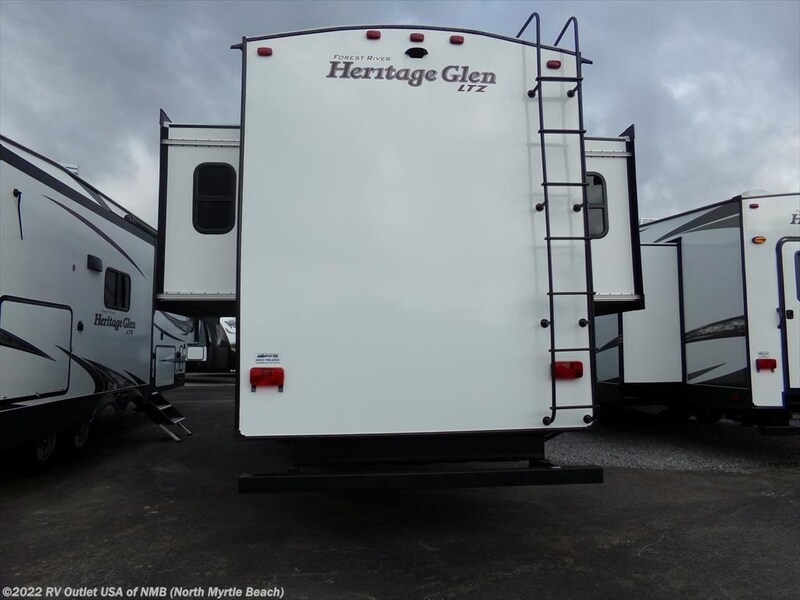 We carry a lot of different product lines here, and honestly, this new Heritage Glen 372RD for the money can't be beat! 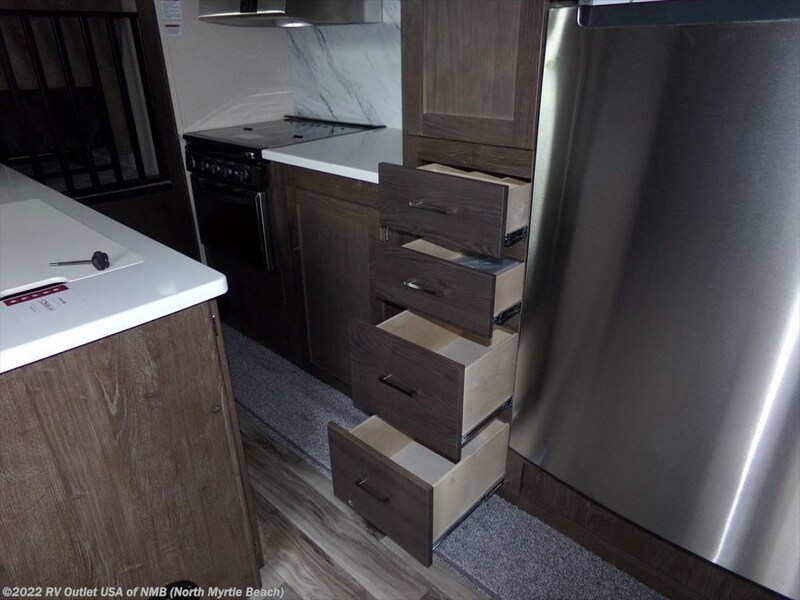 This floor plan has a King bed slide in the front which gives you a large walk-in front wardrobe with shelves for shoe storage and it's been prepped for washer and dryer. 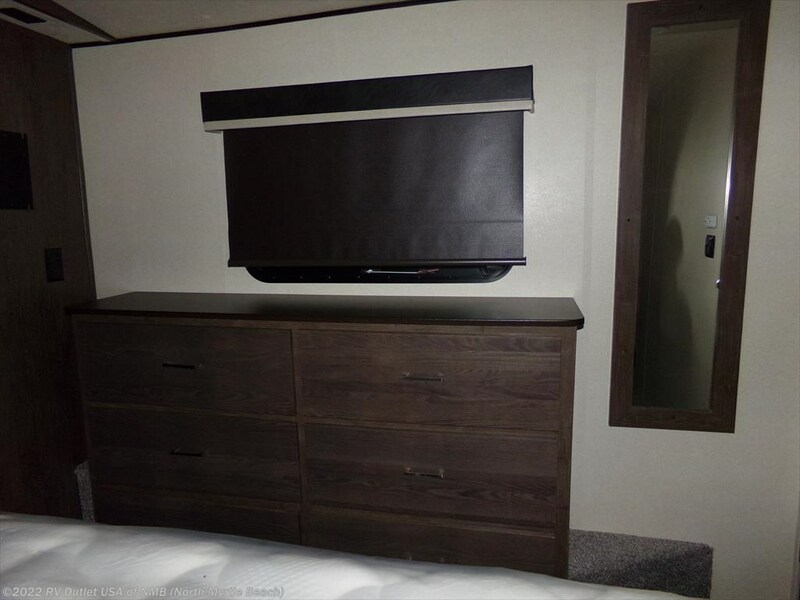 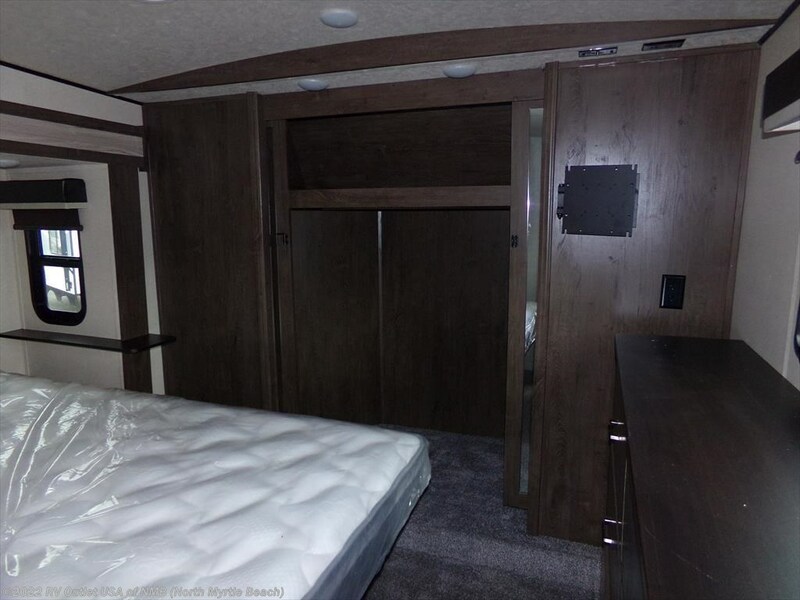 And it also has a dresser at the foot of the bed for extra clothes storage. 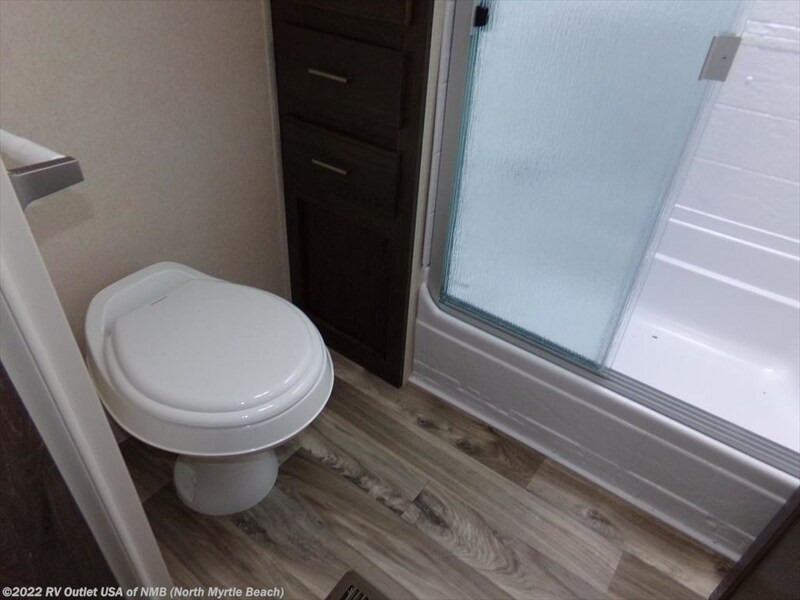 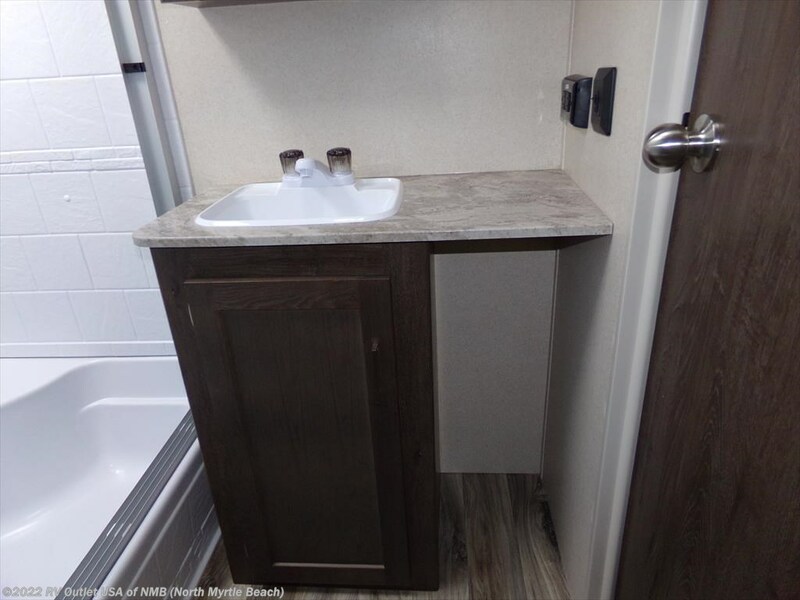 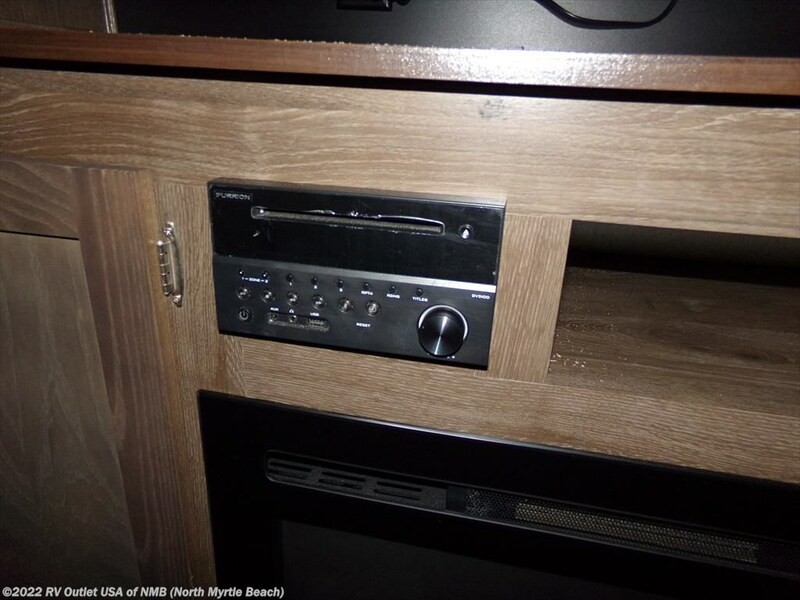 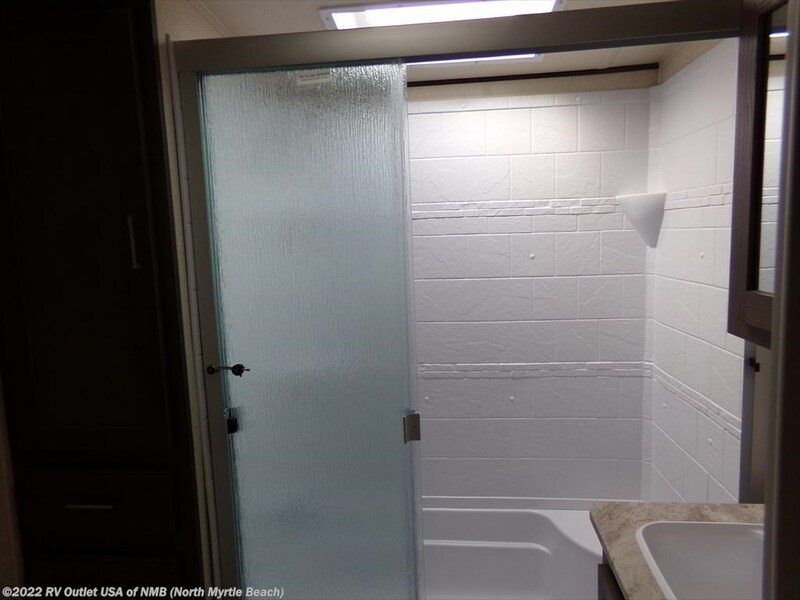 This coach does have a side aisle bathroom with the residential tub with seat, a linen closet, a foot flush toilet, a sink with underneath storage and a lighted medicine cabinet all in one room for privacy. 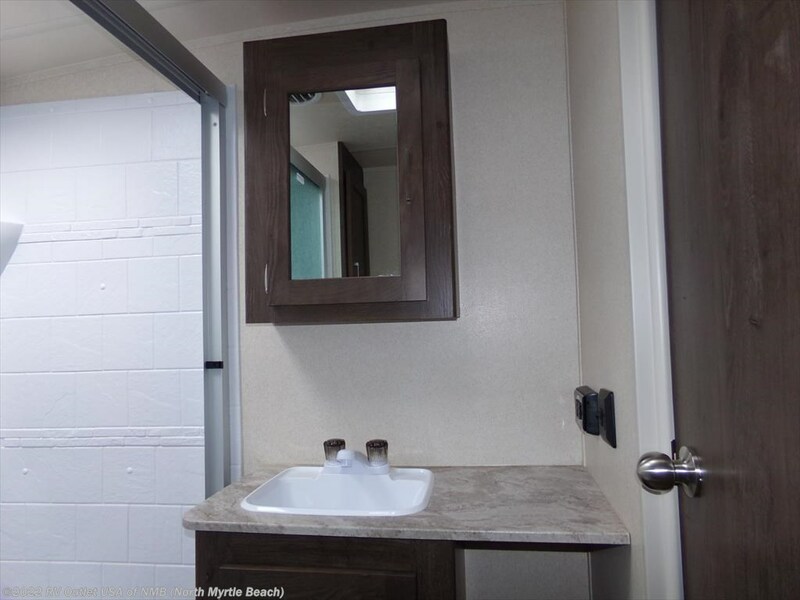 Moms definitely go like the bathroom set up in this coach. 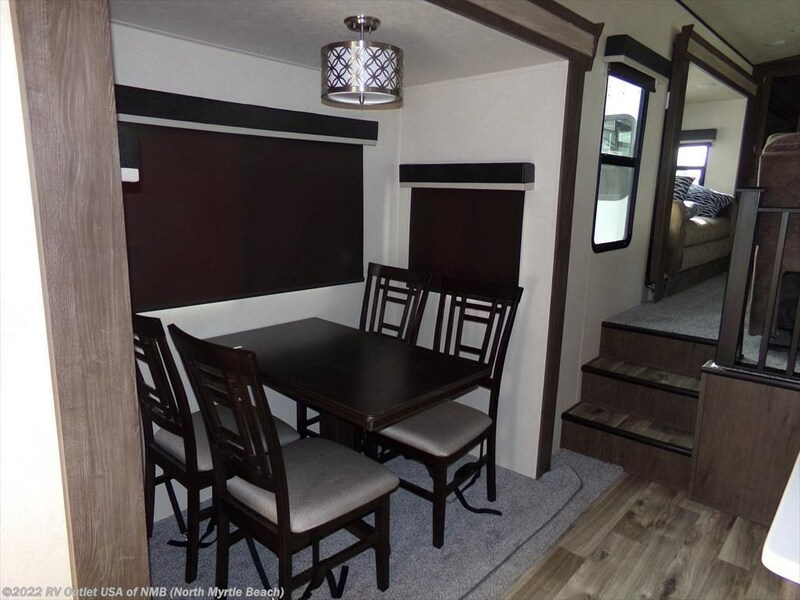 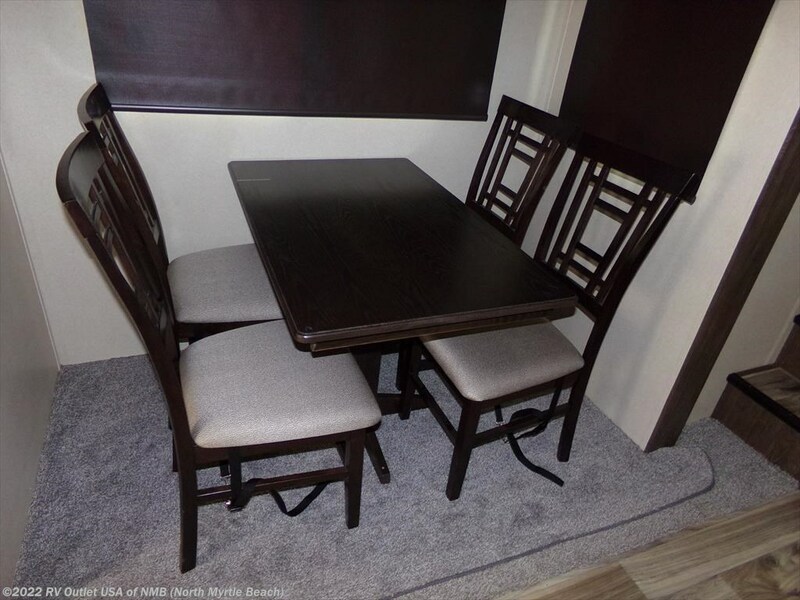 It has a dinette slide on the door side with a freestanding dinette and four chairs. 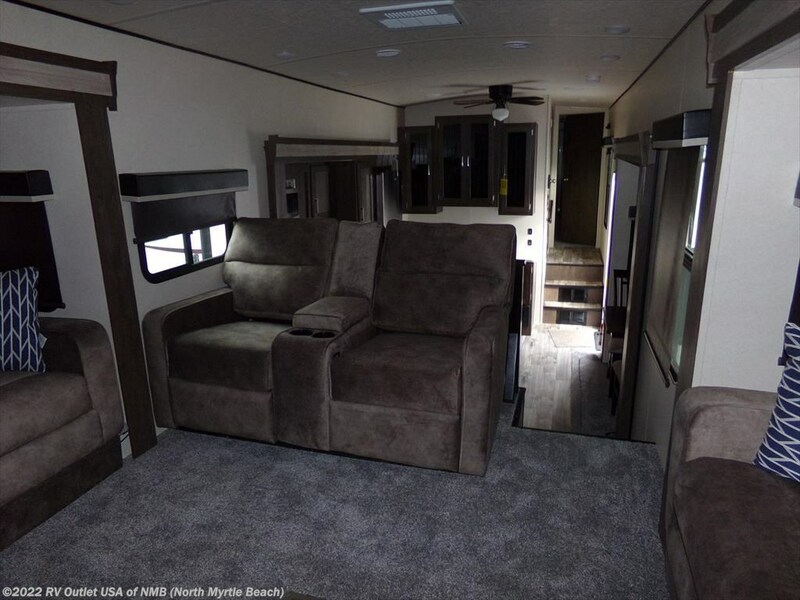 In the rear this coach it has two opposing slide outs with tri-fold sleeper sofas in both slides which allows you to sleep up to six people in this coach and it has theater seats which face the rear of the coach where you'll find the huge entertainment center, electric fireplace and built-in cabinets on both sides. 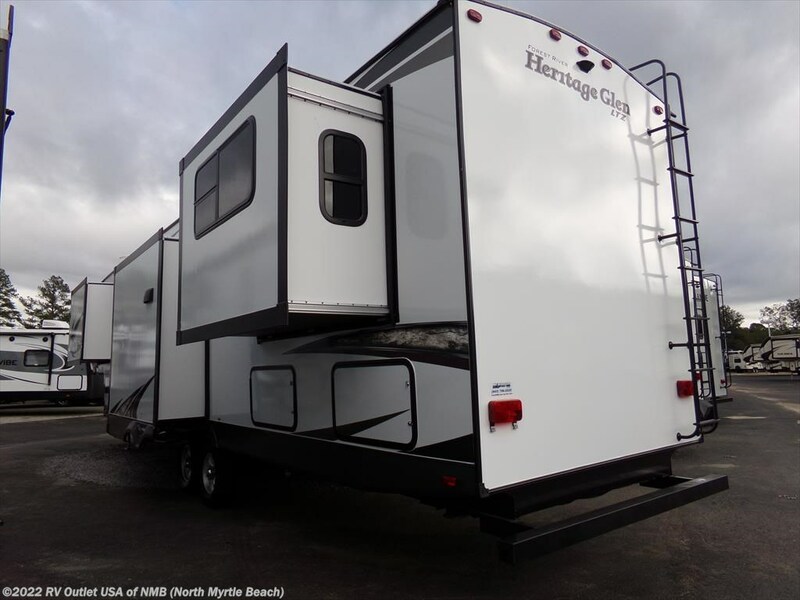 It's a really nice 5th wheel and honestly for the money, it's hard to beat the price and quality of the Heritage Glen products! 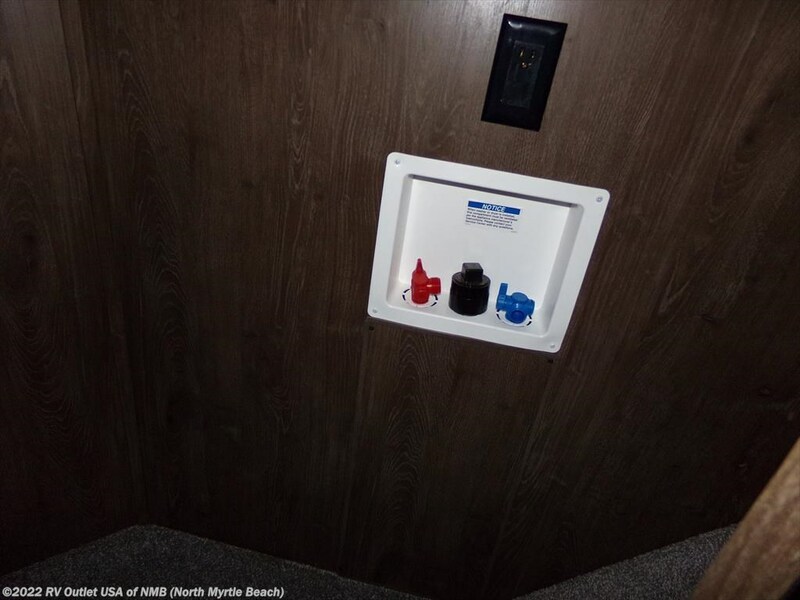 Here's a list of options that were ordered on this 372RD. 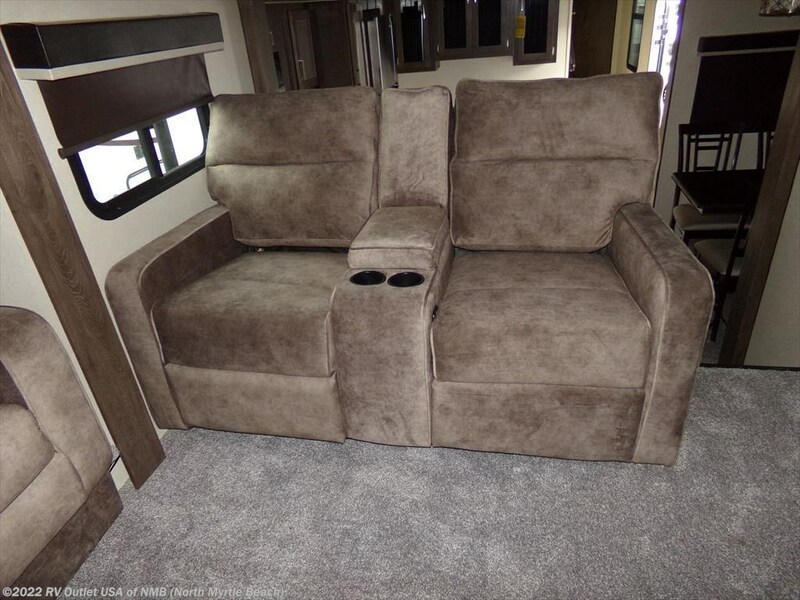 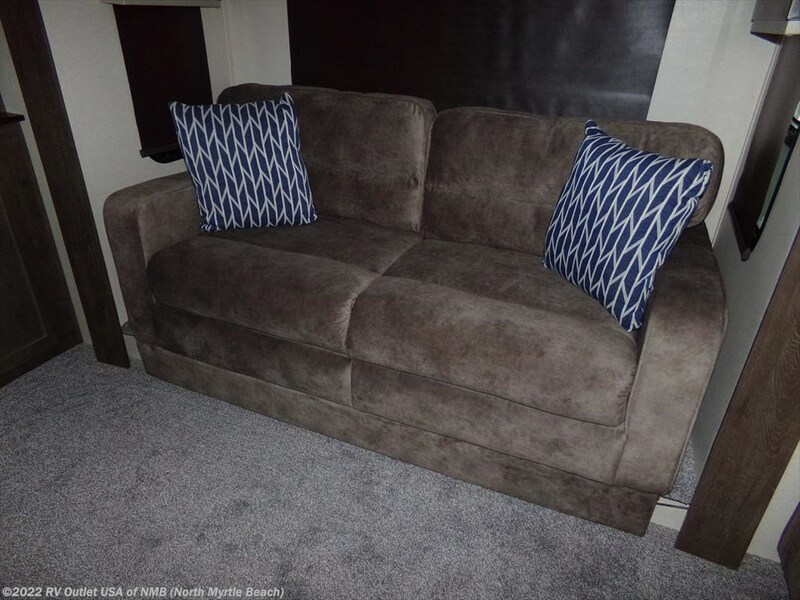 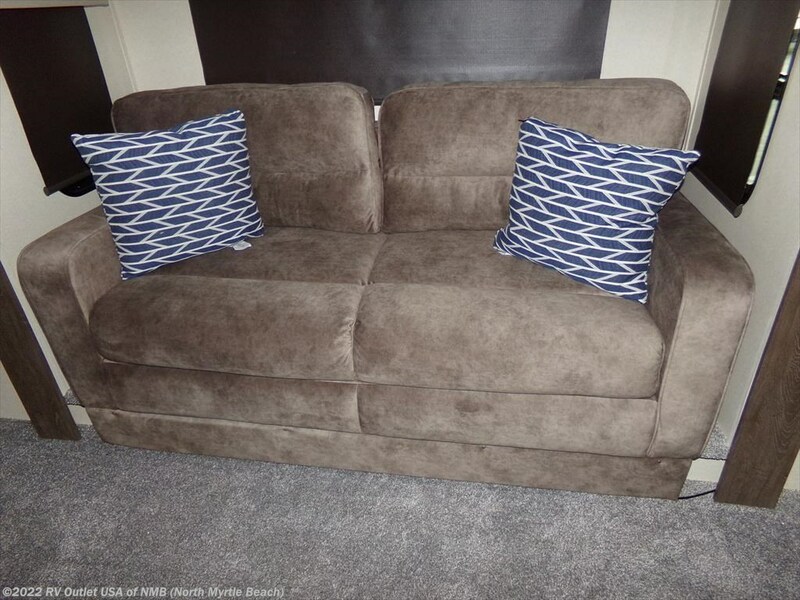 The interior color is Milan and has all of the standard equipment that comes with the Heritage Glens. 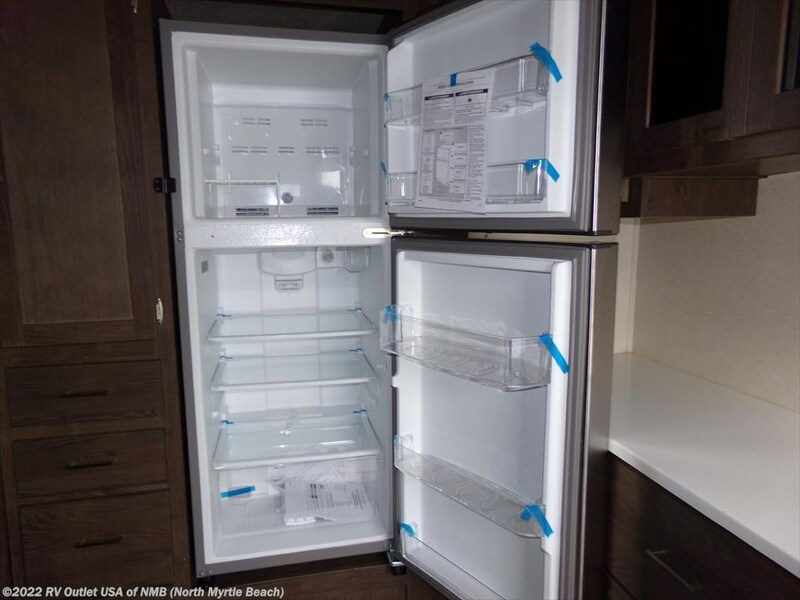 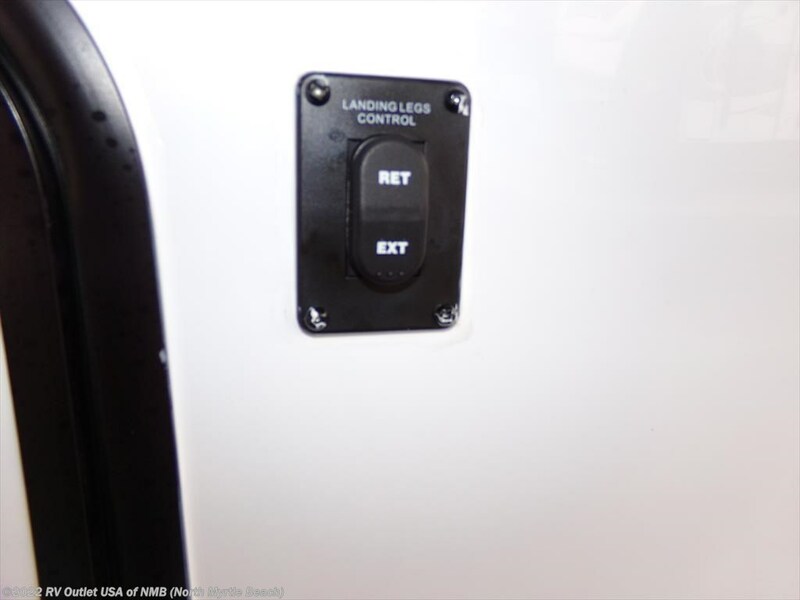 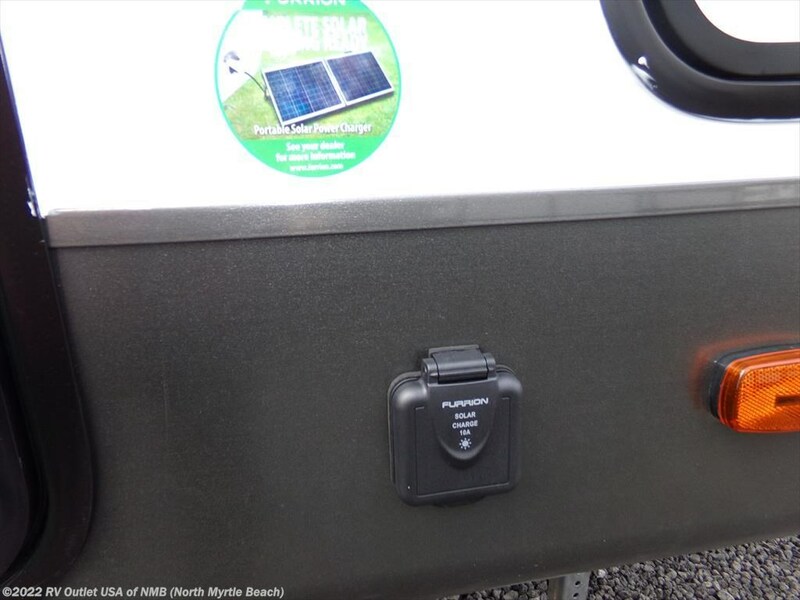 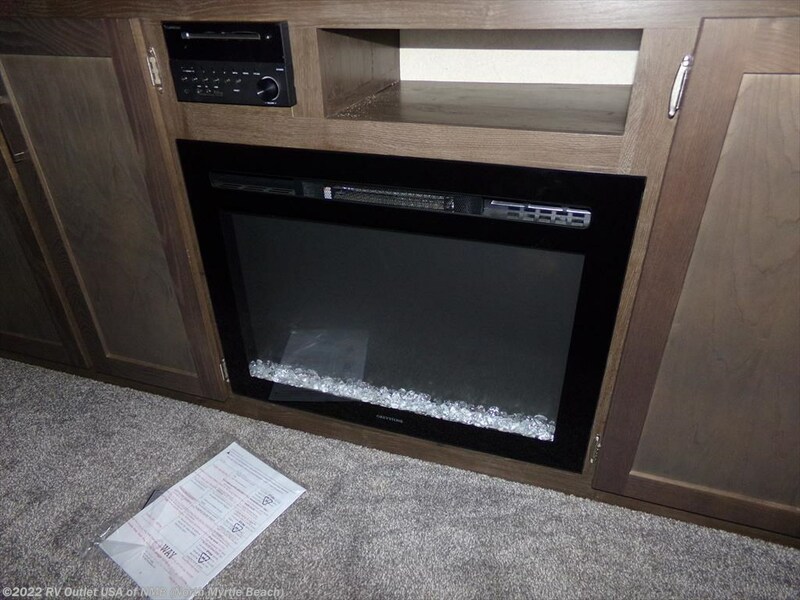 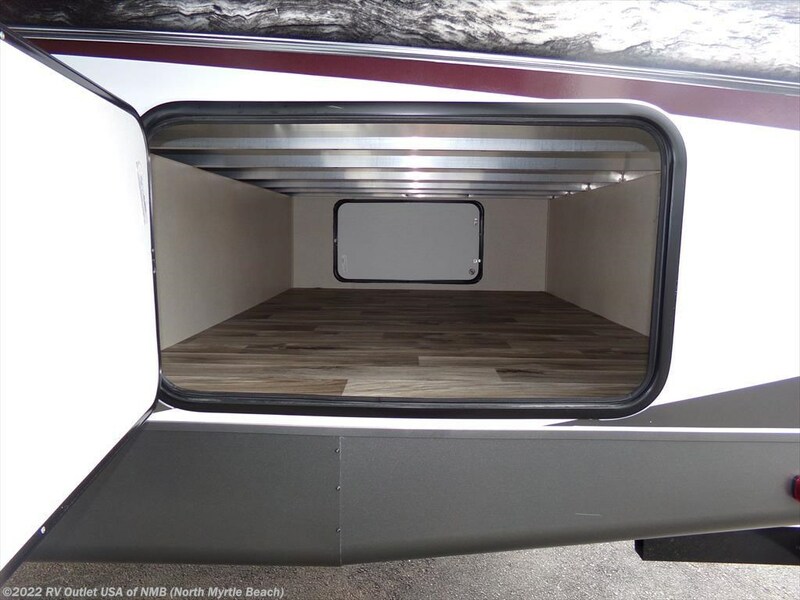 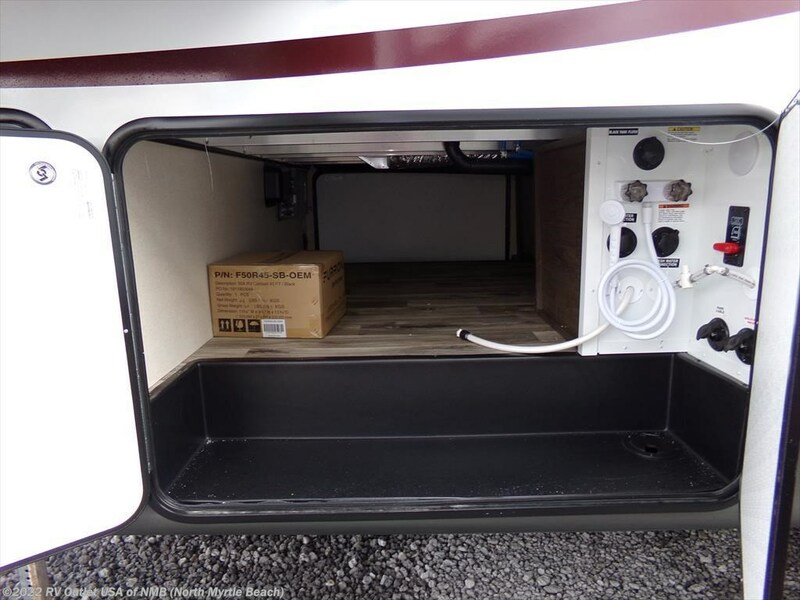 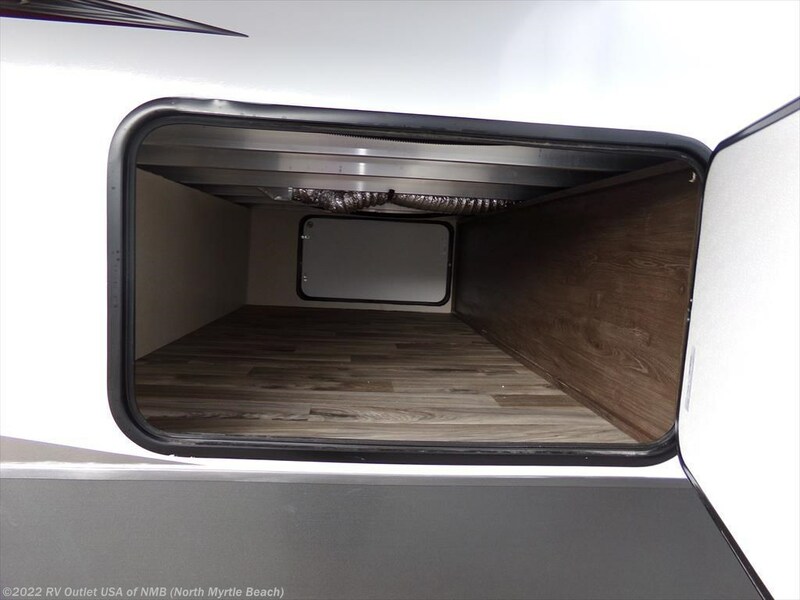 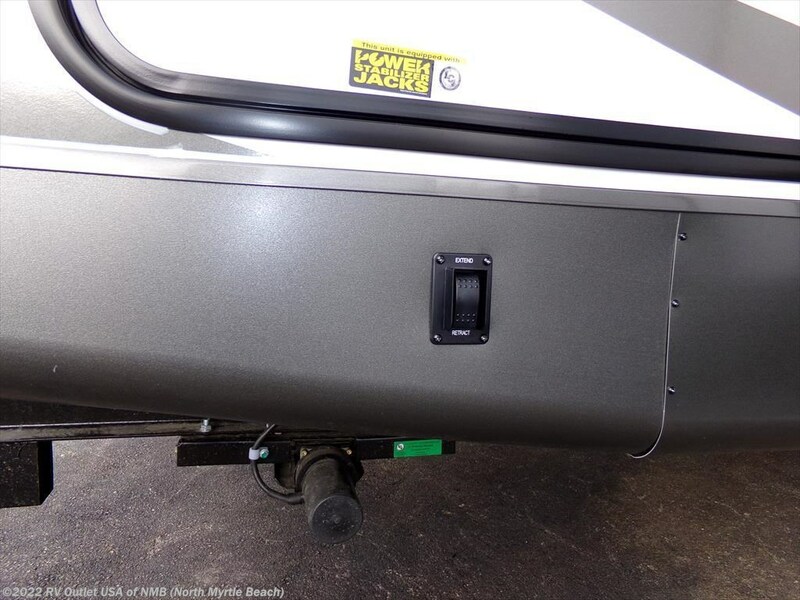 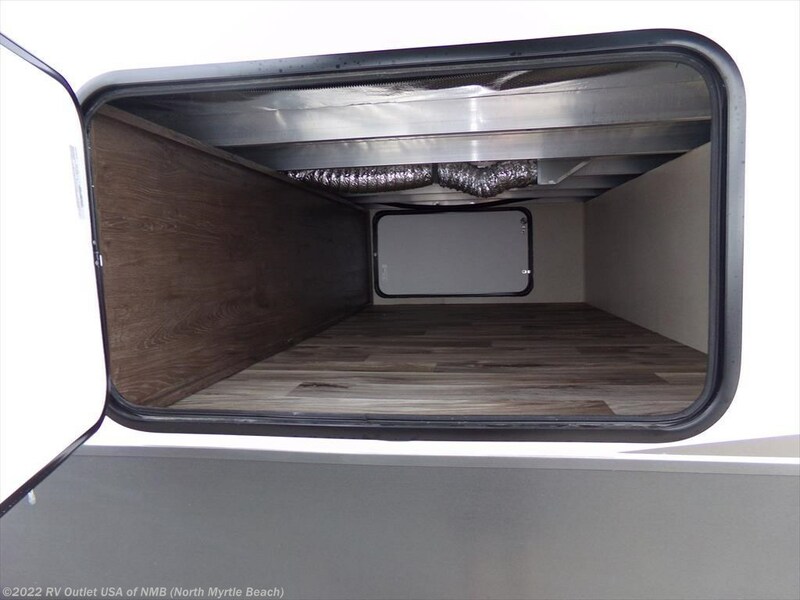 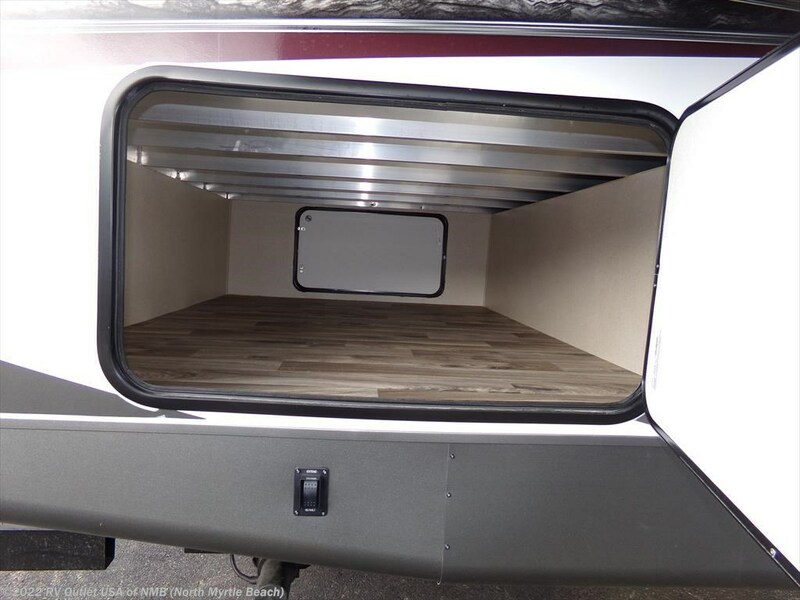 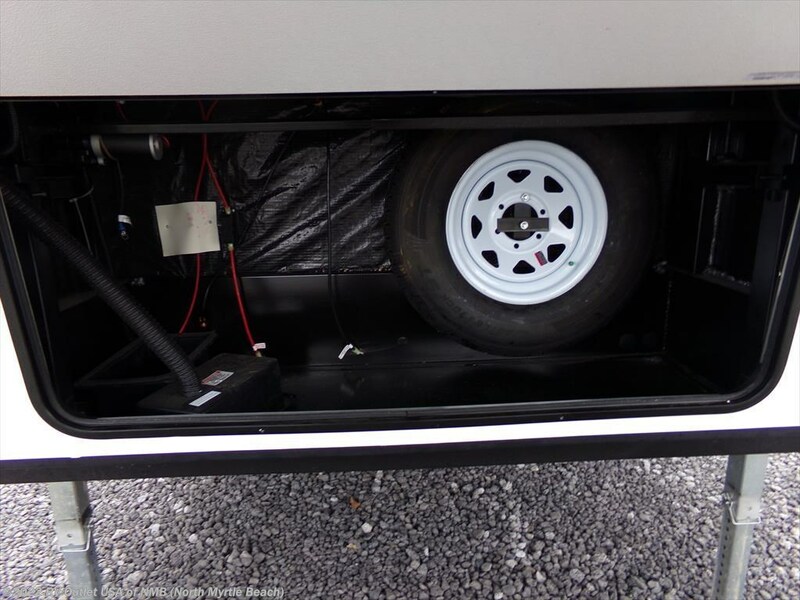 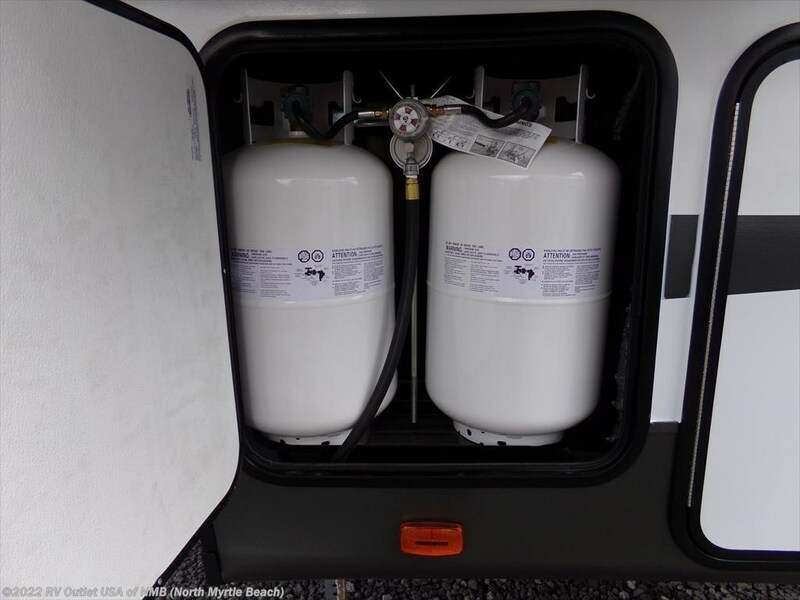 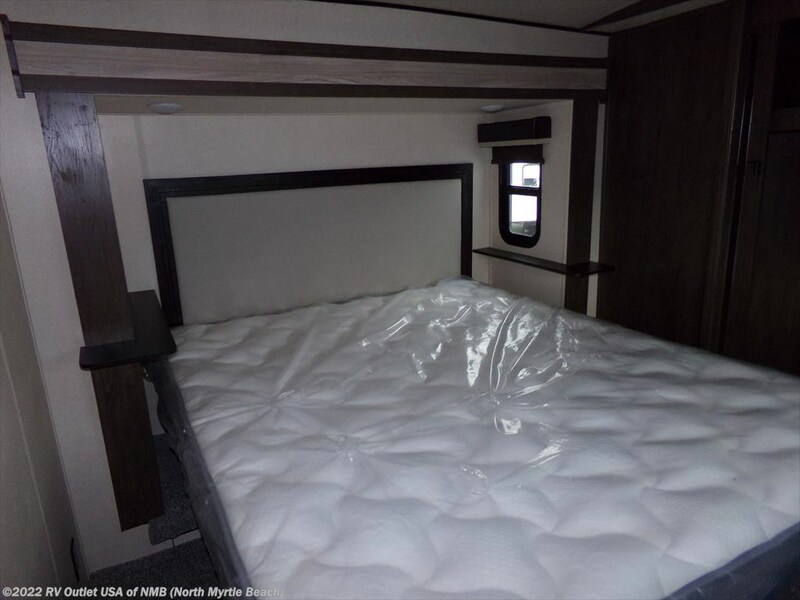 Additional options are, a spare tire and carrier, a rear ladder, the upgraded 10.7 cu ft residential refrigerator with built-in inverter, it has a ceiling paddle fan, a 15K BTU A/C in the living area, and a second air conditioner in the master bedroom.